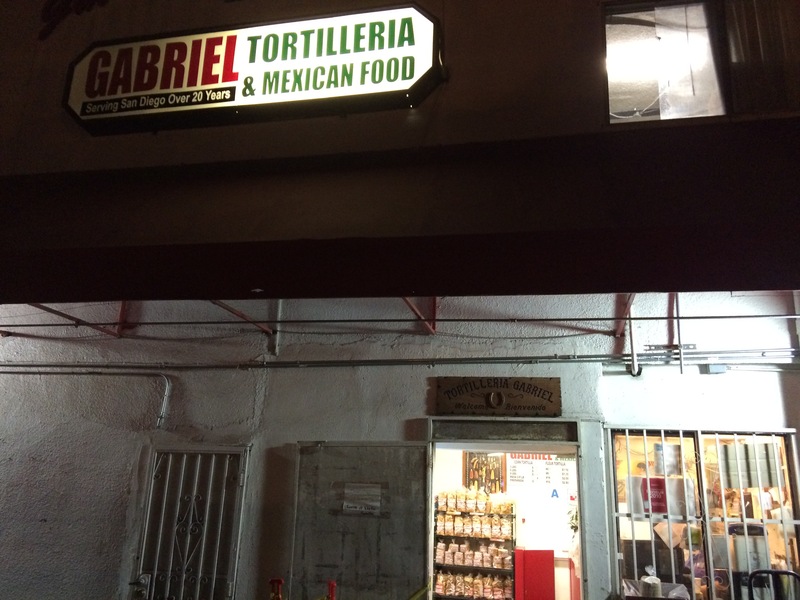 Every three days or so, I run out of tortillas, and I make a run to Gabriel’s on 25th & Imperial. It’s always open, as they’re making tortillas around the clock for stores and restaurants. 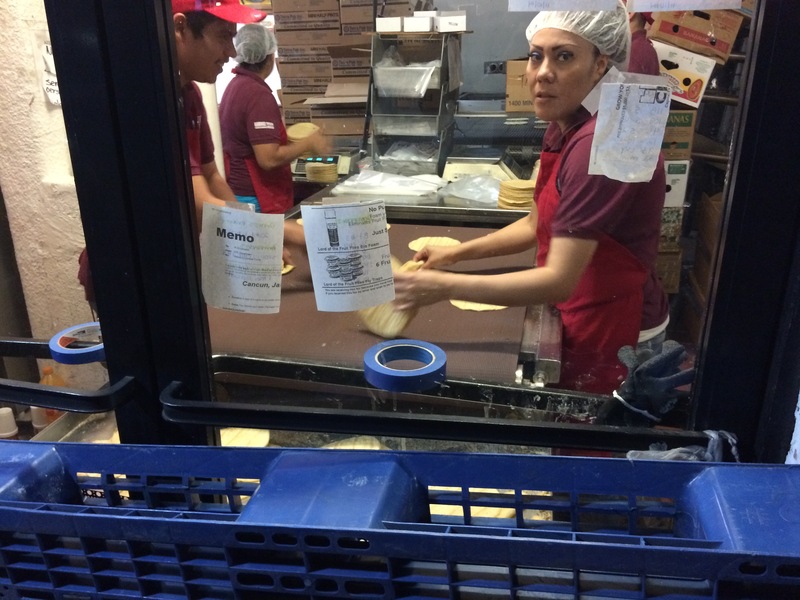 The assembly line is right behind the counter, where they stack and package the tortillas that come off the machine. They keep some bagged tortillas in an insulated box, so if they can’t give you a bag right off the line, they still have warm ones for you. I always buy the same thing: a 3 lb (1.36 kg) bag of fresh corn tortillas, and 2x 500ml of fresh salsa (red and green). The total is $6.85 USD (the tortillas cost $1.55). They taste the best when you eat them out of the bag, right on the spot. They’re soft, warm, rich, and aromatic. Sometimes I’ll buy them for lunch, and bring the rest home for later. I’ll eat about a pound of them per day, which is only about 1000 calories/day (about a third of what I eat). 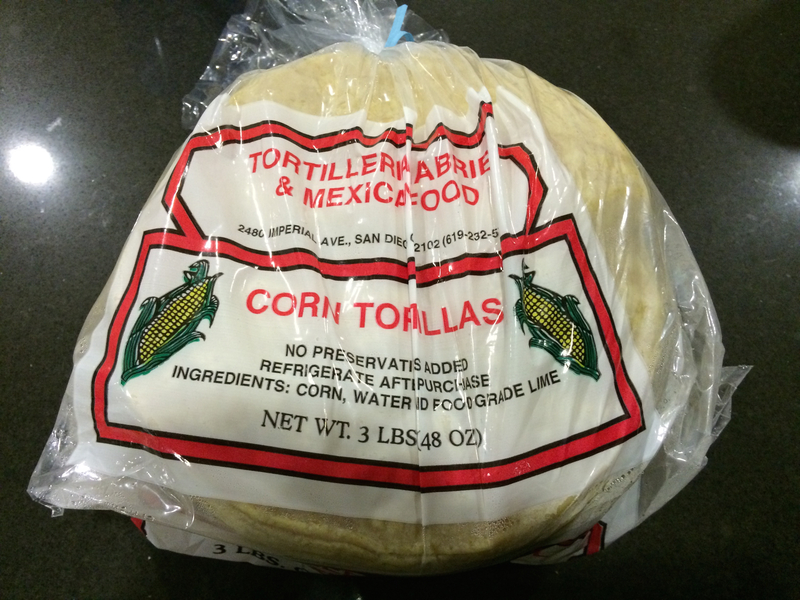 I wish I could fine soft corn tortillas here. All I can find are the hard ones. They are fine but the soft ones are more versatile. Don’t worry, tortillas are only soft right off the line. They all get cold and hard. Before I heat them back up in the pan, I quickly run them under the faucet to get a coat of water on them. They’ll steam up nicely in the pan!